"The best part - we get to workout TOGETHER!" 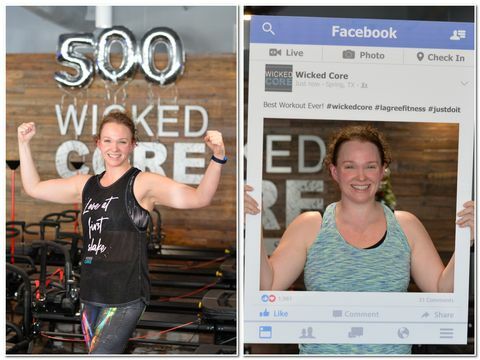 "Wicked Core provides one of the best workouts I have ever experienced. I have worked out for many years with weights and a dip machine in my garage. In April of 2017, my wife and I discovered Wicked Core and The Megaformer Machine. After one year of Wicked Core, I sold my weight machine and free weights, and we invested our time and energy getting into WICKED shape. My wife and I have experienced amazing results. We are leaner, stronger, and mentally sharper. We have both lost 15 pounds and increased our muscle size and definition. The best part - we get to workout TOGETHER! Ladies - if you have found this page and read this post, please tag or share with your husbands. I want to challenge the men out there, who might doubt the intensity of this core training, to give this workout a try. Wicked Core WILL challenge your strength. Wicked Core WILL make you work. Wicked Core WILL show you where you are weak. Wicked Core WILL test your mental strength. I CHALLENGE you to show up. Do it for your wife; do it for yourself!" The pic on the left was taken when I was 25, right after I had my first child. I had a bad relationship with food and didn’t exercise. The pic on the right was yesterday. I’m now 37, have three kids and I’m in the best shape of my life. Although I did lose a lot of the baby weight after the first pic was taken, it wasn’t until I started working out at Wicked Core 2 years ago that my body really started to transform and I started to develop strength and muscle tone that I had never had before. It was also around that time that I made the commitment to start taking better care of myself. For me, that means eating clean 80% of the time, strength training at Wicked Core 3-4 times per week and fitting in additional cardio 1-2 times per week, usually at Ride. Like everyone, I still sometimes struggle with food choices and there are times I don’t feel like working out, but I push through that, knowing how important exercise and nutrition are to my overall well-being. "I am feeling stronger then ever!" 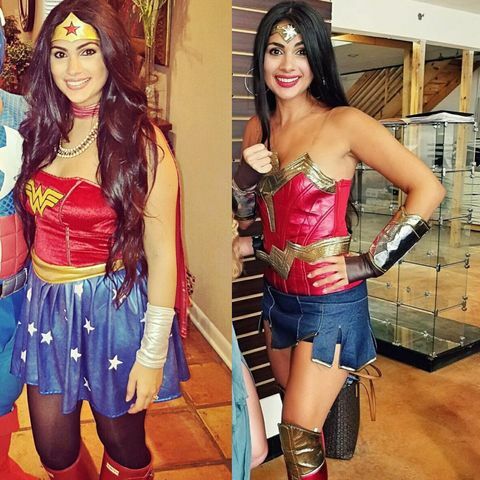 "At the end of August this year, after seeing pictures of myself, I decided to make a change. I have never been so out of shape, and I wanted to set a better example for my children. I started off at a high intensity gym and did have some success. I was working out over an hour everyday, in addition to the work outs, they taught me about eating the right foods to feed by body to have the best results. During those 4 weeks I only lost 5lbs, I quickly started to lose my motivation when the consultant seemed disappointed with my results. This left me discouraged. Thankfully, I have great friends who encouraged me to push through. One friend suggested the new place opening in October, Wicked Core, so we each bought a 10 class package. The first day we walked in I thought what have I gotten myself into, I've never been into gyms, Yoga or Pilates, and this looked like I had gotten in over my head. I made it through the first class without injury. Just a lot of shaking!! It was so different and challenging!! I had to retrain my brain to move slowly with controlled isolated movements. I must admit, there have been moves where I was cursing under my breath. I was hooked!! Over time I felt my muscles getting stronger, I started seeing the changes in the mirror and the scale. It felt rewarding. Over the past 3 months, thanks to Wicked Core and the AMAZING instructors I have lost an additional 17lbs and am feeling stronger than ever!!" 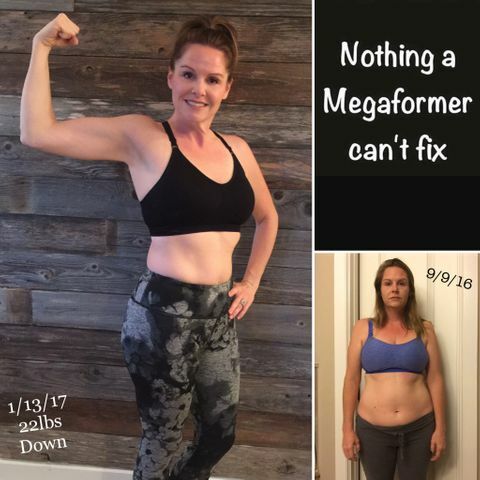 "Wicked Core has changed my life and it can change yours as well"